I am so with her. The prep work for skiing is intensive, the cost astronomical, and the cold wind is biting at times even with the very best gear. Hats, gloves, goggles, helmet, neck piece, base layer, ski jacket, ski pants, and balacava (do you know what that is even?). Then there is the getting in and out of the boots. Why after all these years, have ski boots not gained in comfort and ease? I mean I have gone from wearing baggies on my feet in snow boots to my kids having -30 degree Bogs, but in the area of ski boots… the progress is zero. So after you arrive at the mountain in your massive gear, pay a ton of money for your lift tickets, pry your child’s ever growing feet into their boots while they screams about how they hurt it is time to hit the slopes. Once you make sure your fully equipped six year old doesn’t get clobbered by the lift, it is smooth sailing up to the top. It is in those next few moments that the hassle, becomes ease. 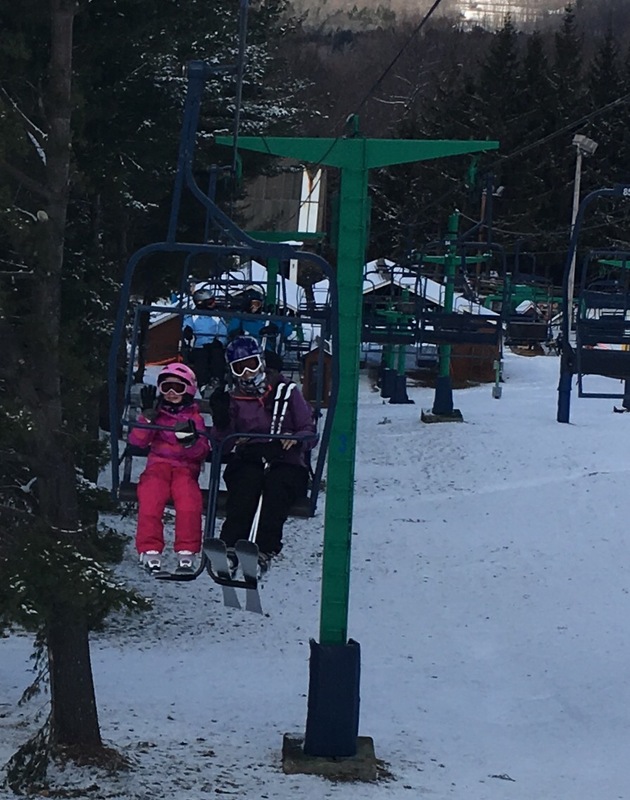 You hit the top and sail down the slopes, watching your little one try to slide up the side of the slopes to turn a quick trick. The freezing cold air bristles about your hair and though your nose starts to drip, it is only reminder of the joys of fresh air. The beauty and nature and time with family is priceless even between the costs, struggles, and tight and stiff as heck boots! So if you are thinking about trying to hit the slopes someday, know it will be difficult but worth every painstaking struggle. It will always be a love hate relationship for me!